Yesterday I spent the day making my own cleaning products and some even have essential oils. Let me start off by saying how impressed I am with these cleaners. They really get the job done! These cleaning products are safe and natural so I no longer have to breathe in harmful chemicals while I clean. As a mom of four, I'm cleaning a lot, so I'm beyond thrilled I won't have to worry about what I'm inhaling or what my kids are inhaling while I clean our daily messes. Not only are these safe and natural, but I plan on saving bank because of them! These a crazy inexpensive, crazy! It only took me about an hour to mix up 6 different spray bottles of cleaning supplies. 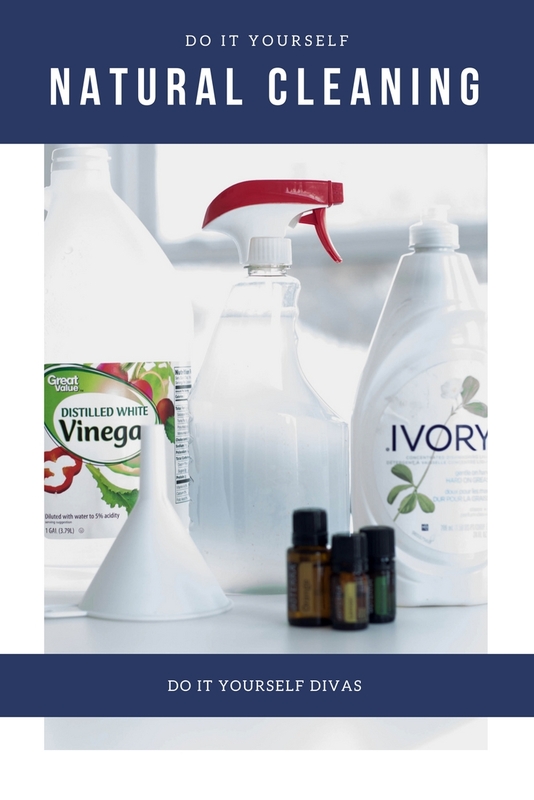 Here's my own spin on a few natural cleaning products. These are a few oils I like to use in my cleaners. They also helps hide the smell of vinegar. 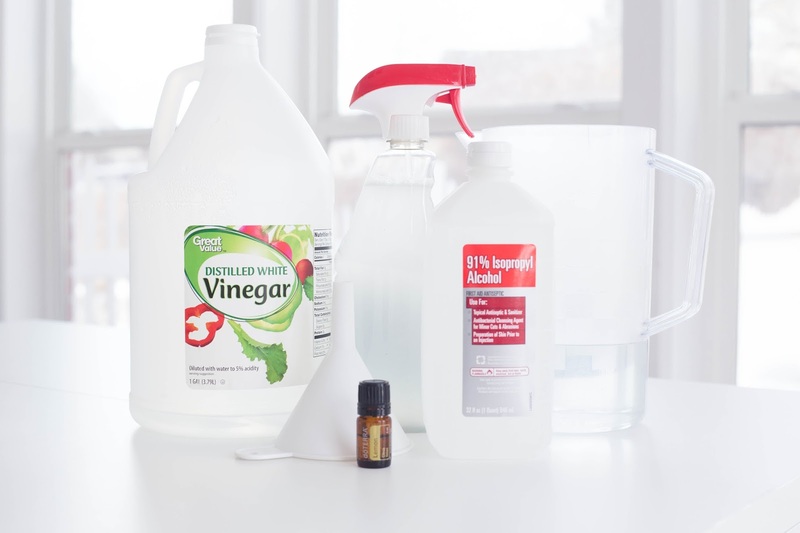 You could also use a citrus oil so your home smells extra clean. *Clean with a microfiber cloth. Shake before use. I was very impressed with this cleaner. I think it works just as good as windex. For tough dirt, first spray it and wipe the dirt away with a paper towel, then spray again and wipe with the microfiber cloth so it is smudge free. The microfiber cloth is a must! Shake before use. I usually spray my granite with the All Purpose spray first and then shine them up with this spray. It leaves them looking gorgeous! Spider Repellant Spray- Thanks whoever you are on Pinterest!! Spray around exterior of house, windows and doors. Inside the house, spray under the sinks, around windows, and doors. Enjoy a toxic free, fresh, clean home! How lovely! I will try :) Essential oils? even better! Great post! 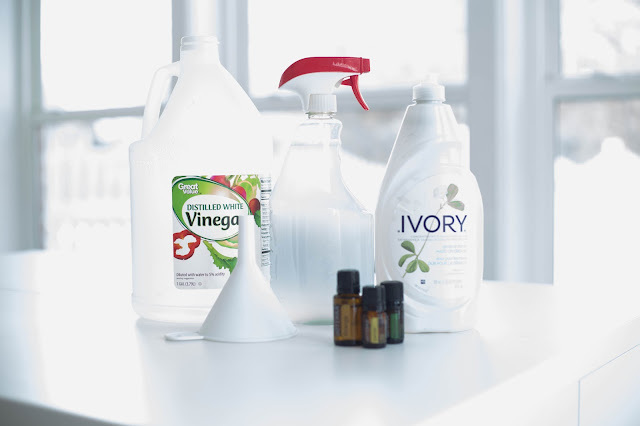 I make my own cleaners, but never thought to add essential oils. Can you describe the Deliverance scent? The description has so many ingredients, I can't figure out what to expect :) Thanks! I'd say that the Deliverance smells a little bit like Vicks Vapor Rub. That's the best way I can describe it. It has a nice smell and I think it covers up the vinegar smell so well. The spider repellant spray will save many eight legged creatures. I always tell them "You stay out of my house and off my body and I will let you live." DIY concepts are always works best for me. I'm following very basic cleaning ways since long time to clean up my home, but quite delighted to learn this particular recipe of cleaning. Will be handy for cleaning purpose!! Thanks. I love using essential oils for replacing chemicals, I would definitely check into other options that using dawn dish liquid, since it contains Quanterium 15, which produces formaldehyde when contacts water. 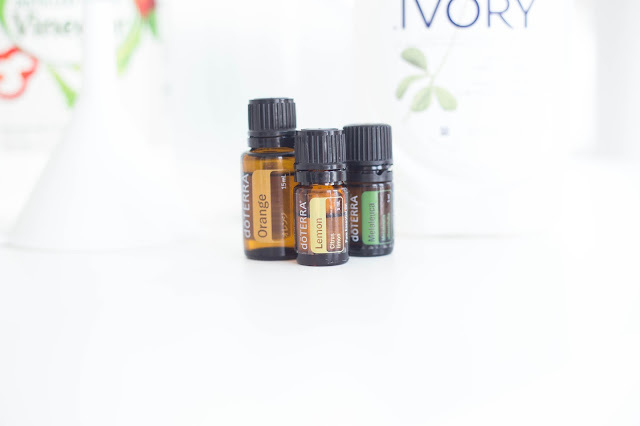 Beside lemon or orange you can also give a try to Defense Pure Essential oil. It is skin friendly and harmless. I think I will try to have this on our kitchen to clean it easily. I will also recommend this to our Gym Cleaning Services because it was very nice to have. Our hired cleaning service has a good services offered for me. You can also hired them for your industrial company. Great post but Dawn isn't "all natural" and alone is a chemical. I would eliminate that and just use your immune boosting oil, water and vinegar.